The Graphic, JULY 20, 1889. 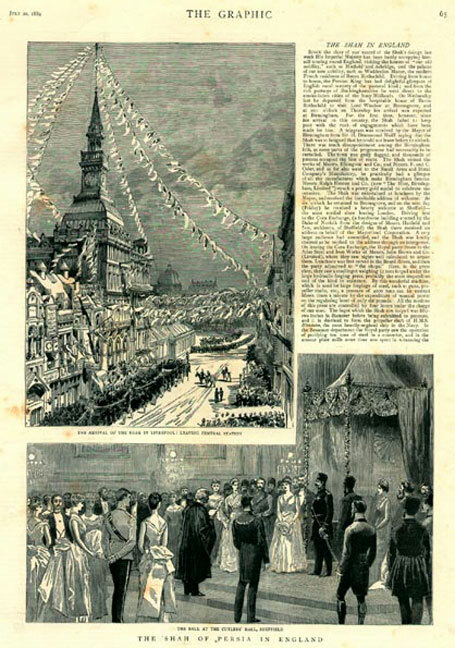 The title is "THE SHAH OF PERSIA IN ENGLAND", and it features two illustrations showing different aspects of his visit. One is of the arrival of the Shah in Liverpool and the other is of the ball at Cutler's Hall in Sheffield held in his honour.